The above quote demonstrates that goal-based behaviour and decision making has a long history. This goal-based philosophy has been formalised in the modern field of operational research and management science by the technique of goal programming. 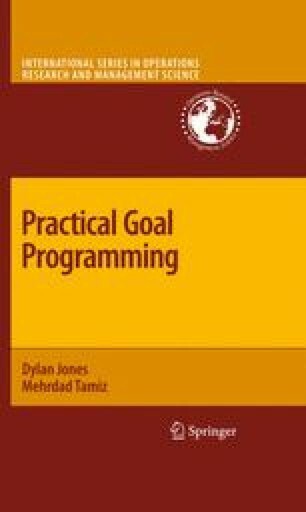 The earliest goal programming formulation was introduced by Charnes et al.